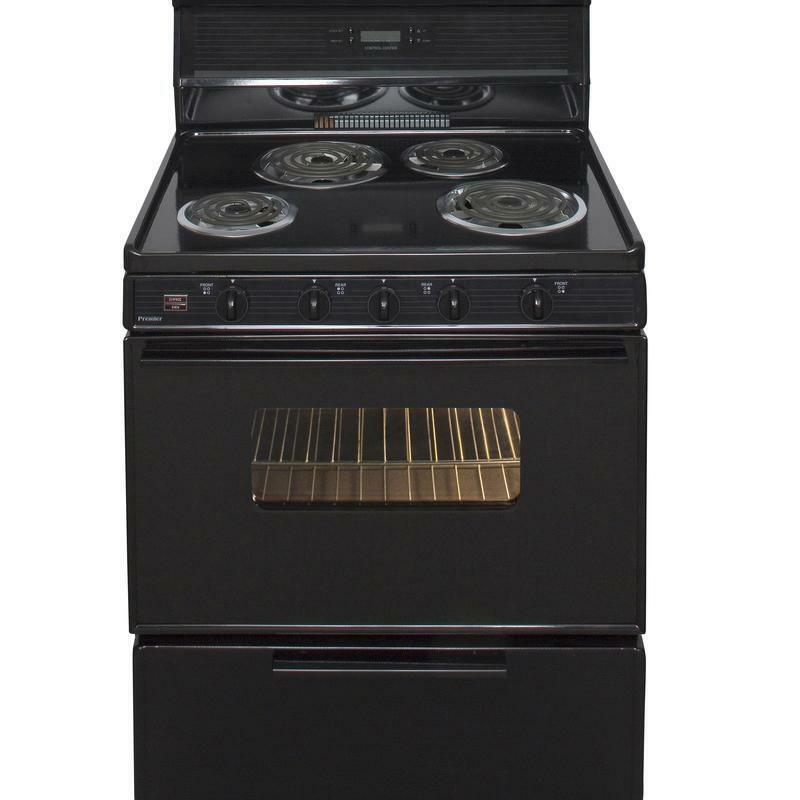 This Premier electric range gives you all the fire-power you need for home cooking and baking. With a lifetime warranty, the 4 coil elements - two 8-inch, 2100w for larger pots and two 6-inch 1250w - are built for durability and set beneath a porcelain finished lift-up top that you can prop up with a support rod for easy cleaning. Additional Information Front controls; Windowed door; Convenient storage drawer; Anti-tip bracket. Burners/Elements Output Elements 1: 2100W. ; Elements 2: 2100W. ; Elements 3: 1250W. ; Elements 4: 1250W. Burner/Element Size Elements 1: 8"; Elements 2: 6"; Elements 3: 6"; Elements 4: 6".